ABCNJ's 2017 Annual Session was as wonderful success! "Testify!" - Proclaim, Hear, Believe! At the recent 2015 American Baptist Churches of New Jersey Annual Session held at the Hyatt Regency Hotel in New Brunswick, New Jersey, the over 600 people who attended the annual gathering heard the plenary address of Dr. Alistair Brown, president of Northern Seminary, an ABC-related school of theology located in an inner suburb of Chicago. That address was videotaped in its entirety by ABCNJ and if you click on the link provided in the preceding sentence, you can see and hear the entire address again. Using Romans 10: 14-15 as his primary scripture text, Dr. Brown started his address by first lifting up the critical importance of seminary and theological education for the pastor who we call to lead the church, to handle the word of God and proclaim the message of eternal life. Through concise rhetorical questions, he illustrates this vital task: "How could it be that we would never consult a doctor who is not thoroughly prepared...engage an accountant who does not understand his/her profession...a lawyer unless he has spent years in the profession...but yet somehow today we think its alright for someone to handle the word of God and not be thoroughly prepared for the work of ministry? Seminary is part of the church's preparation for those who will lead it"
We need to have something to which we testify. Testifying is more than just talking about our loyalties, our hobbies, our beliefs. These are all inadequate comparisons to testifying about Christ. When we accept Christ, everything in our lives change. We are not our own, we were bought, we become utterly his. Christ comes into our lives not only as another furniture to occupy space in our homes. Christ comes and buys the whole house! Our testimony should be that Jesus Christ is Lord of all. The central message of the Good News is that God so loved the world, that he sent an only son - not to condemn the world, but to save it; and those who believe in him will have eternal life. Jesus Christ is "Lord of all", and anyone who believes in him will not be put to shame, and everyone who calls on him will be saved. Salvation is available to everyone. He is the only savior - the way, the truth and the life. Testifying means telling. We love the idea of our faith, more than the act of actually sharing it. We overrate the notion that our lives alone are sufficient witnesses to our faith. Testifying about Jesus Christ means "telling" about Jesus Christ. Referencing his text on Romans, he emphasized that people don't know what they have never been told! Dr. Brown ended his stirring and inspiring address by reminding all of us that it is the very love of God that compels us to testify! Do you know how we find something new about what we have seen or heard that grabbed our attention, or moved us passionately, for the first time and then return to it a second or third time? You are encouraged to go to the video link above to hear Dr. Brown's address again. Acts 22:16: “ And now what are you waiting for? Get up, be baptized and wash your sins away, calling on his name” (NIV). As the ABCNJ Annual Session came to a close this year, the water baptism candidates were lining up. On their faces were expressions of pure joy and anticipation. As various ABCNJ pastors carried out the baptisms and lifted each believer out of the water, I noticed a mixture of emotions. One had tears of joy, one had a broad smile, and yet another seemed peaceful. I quickly shared this opportunity with Lee and asked Rev. Dr. Edgard Nicholas to speak with the young woman, who was a member of his congregation. They both agreed to do this one last baptism and Lee got back into the tank inviting the young woman to join him. Edgard stood next to the tank and prayed for her. As Lee lifted this young woman out of the water, her face was beaming. All the thirteen baptismal candidates had proclaimed Jesus as their Lord and Savior and had dedicated their lives to Him! We all got a glimpse of heaven that day in New Brunswick. Peg is a much-loved resident of Riverview Estates and a part of the Central Baptist Church community in Palmyra, NJ. She attended Annual Session for the first time this year. Many persons have asked me where I went last Saturday, so I thought I would give a small glimpse of my day was like. Early Saturday Morning I was picked up by a member of Central Baptist Church early. We left Riverview Esates around 6:45 AM and headed for New Brunswick, where the ABCNJ Annual Session was being held. I had no idea what to expect. I have attended conferences before but only small ones. I was told Annual Session was a big thing. Many tables were set up outside the hall, each displaying what different ministries had done this past year. If you are part of the ABCNJ family you can feel good about all we have done to promote justice, hunger-relief, disaster recovery, and “safe spaces” from abuse – physical, mental, and chemical. These tables showed how we are working all throughout the world! The singing was wonderful. The Urban Promise choir gave me chills, especially “This Little Light Of Mine.” They were so poised on stage but were were also full giggles, smiles, and cheers. The message which Impacted the most was about why kids join gangs but not churches. The speaker, Romal Tune, asked us what our churches offer kids. Differen people answered, “love”, “food”,“family”, “shelter”, “things to do”, “a sense of belonging.” Minister Tune told us gangs offer those things. They care for each other, offer food, love, a sense of belonging, family, shelter, and activities. So why do kids they chose gangs over churches? The difference is the gangs are everywhere – on the basketball courts, on the corners, in front of stores, even at school. They are everywhere, but where are our churches? All the things that kids need are inside out buildings. Pastor Tune reminded us that our churches need to go out where the kids are. That message is true, which makes me wonder, “How can we leave our pews and go outside our walls to where the kids are and bring them the Good News.” This is what I brought home from Annual Session, and I’m still thinking about it! If you have a chance to come to this wonderful even next year, I think you should take it! 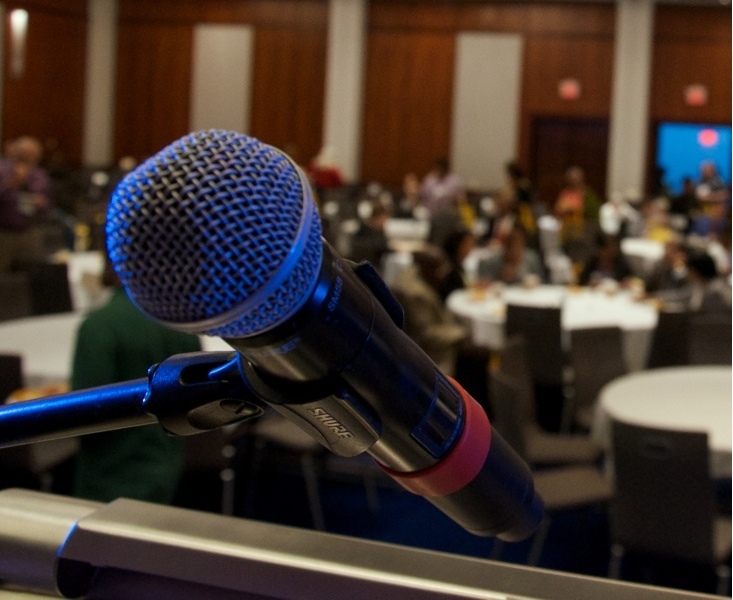 Make sure you tag your updates with #abcnj2014 during Annual Session. That way our entire family can share your thoughts, comments, and photos during the big event! Who knows, you may even end up on the big screen! If you want even more information on Annual Session, please visit our Annual Session web-site. If you would like to register, just click or tap the button below and you'll be wisked away to our online registration page. If you've ever been to Annual Session you have, no doubt, seen the amount of work which goes on to make it a successful event. Unless you've been in the office as Annual Session looms large on the horizon, however, you haven't been privy to all the work which goes on behinds the scenes to make Annual Session a success. Materials have to be created, printed, and collated. Registrations have to be finalized and credentials printed out. Last minute hiccups have to be addressed, participants have to be given their what/when/how assignments, and visuals have to be finalized. Somewhere along the way, both staff and volunteers need to remember to eat. Today, the Tuesday before Annual Session, the frantic pace has hit fever-pitch. As the final materials emerge from the office printer they are being stacked, organized, and transported into the conference room. This morning, some lovely folks arrived at the office in order to transform our piles of stuff into the packets which will be handed to each attendee on Saturday. Throughout the morning they have smiled and laughed as they have worked through the nearly 700 packets they've been charged to fill. In this hectic atmosphere they are a wonderful breath of calm. Whether you are able to attend Annual Session this Saturday or not, spend a moment to thank all the people who work in the background assembling our finishing touches – they bless us all more than we could possibly realize. If you were present at the 42nd Annual Session of ABCNJ held on September 28-29, 2012, you would have seen me (at times unglamorously!) clambering all over the place with a camera. Yes, one of my duties at the Annual Session was to be the "official" photographer! I regret not being more sociable, but my attention had to be focused on catching the significant moments in what has become a spiritually powerful, moving, inspiring and joyful Annual Session. And now we have a photographic record of it! I invite you to click on the link below, and it will lead you to my FLICKR account and to a set with the 209 photos that I took in the course of the two days. I hope that they will bring good memories for those who were there, and give a sense of what took place for those who were not able to attend. 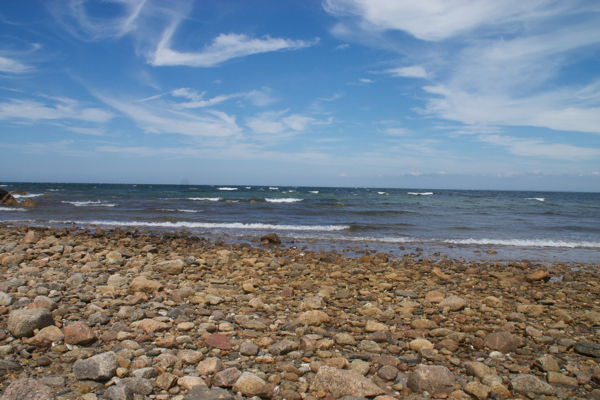 I'm giving permission for you to download a copy of any photo that interests you. I just would like to request that you give me attribution should you use the photo elsewhere. Feel free to leave a comment on a photo or photos that touch you in a special way. I would be happy to hear from you! From my vantage point in the back of the room I gain a unique perspective on the events of Annual Session, some of which I occasionally share with the group by way of the projection screens. The process of putting Annual Session together is arduous, and most of those involved it it have little time to reflect and be amazed at what God did with our labor. We're simply too busy making sure the event is unfolding at planned, or at least being side-tracked in a beneficial way. #abcnjannualsession has a done it again this year blessing us with with 42nd annual session! This year, however, I was offered a moment where I became aware of just how amazing Annual Session really is. I looked up from my screens, took a sip of my ever-present coffee, and saw a room completely maxed out to capacity. I saw people in rapt attention to the proceedings. I saw people chatting with friends and colleagues. I saw people taking pictures of the people at their tables. On the web I followed comments on Facebook and Twitter which highlighted the power of our time. It was, truly, wall to wall Baptists - celebrating our shared mission. 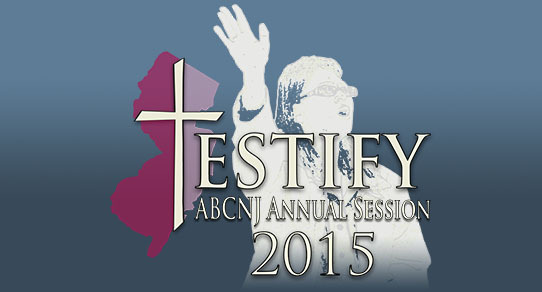 Annual Session has become the event for ABCNJ. It is a privilege to help put it together, and a joy to see how important it's become for the life of our region. ABCNJ's Got Talent! - The Search is On! Write an original song around our theme, "Caring Pastors, Caring Churches, Caring Mission," and Matthew 5:14 - “You are the light of the world.”. Release that song under a CreativeCommons license and share the music with our ABCNJ Churches through the region office (we'll make sure it gets out). Record your group singing the song, and post it up on YouTube for us and the world to see! Send the link to lspitzer@abcnj.net. Or, send a DVD to the region office. (Don’t have an original song? Video your team or choir singing a song that fits the theme, and we’ll still consider it!). All submissions should be in by April 12, 2012. By submitting a song for consideration, your group or choir is stating they are available to lead singing at Annual Session, September 29, 2012. Let's show the world the creativity we possess all throughout our region!